Leading First-Season Sire: a path to future glory? 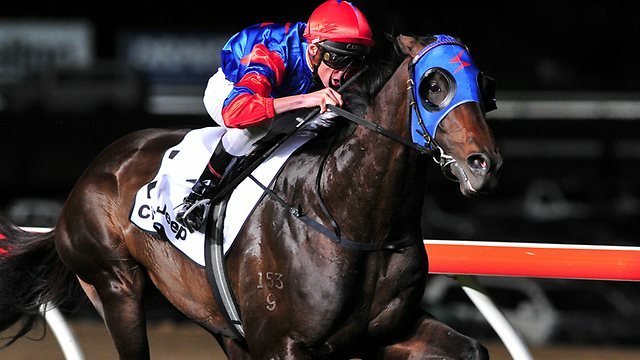 PIERRO is currently leading the first-season sire charts and has already produced a star in Group 3 Magic Night Stakes winner and Golden Slipper third placegetter TULIP – But it’s the future record of Champion First-season Sires that indicates Pierro is a sire you need on your side. . .
A recent study published by BlueBlood magazine found that of the top eight most successful sires in Australia since 1989, six were Champion First-Season sire. Of particular interest, is the record of Golden Slipper winners, like Pierro, and Blue Diamond winners who were leading First-Season Sires. In a super group of nine stallions to have been Champion First-Season Sire on their list of most influential stallions, four were winners of the Golden Slipper (Flying Spur, Rory’s Jester, Marauding and Marscay) while Redoute’s Choice won the Blue Diamond. The success of Champion First-Season Sires has continued with the likes of 2013/14 champion I Am Invincible going great guns at stud, along with other recent winners including Hinchinbrook and Written Tycoon, all of whom could add themselves to the list as Champion Sire in the future. 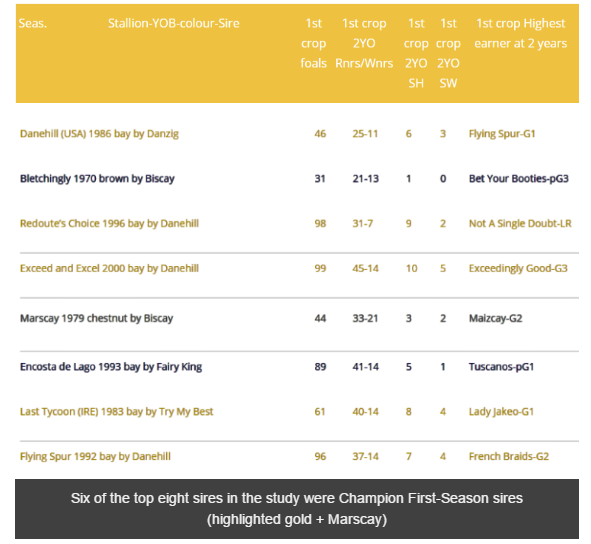 As the below table indicates, the value lies in racing the progeny of Champion First-Season Sires early, with sale prices of their sons and daughters showing a continuing trend to increase astronomically after proving their success at stud. (Table excludes deceased Northern Meteor (Champion 2012/13) and statistics are taken from Breednet with the exception of Stratum (Stallions.com.au)). You can join in the success of leading syndicators Triple Crown and the rising star of the Sydney training ranks, Bjorn Baker. Shares are available now in this outstanding colt by the 2YO Triple Crown winner and now leading First-Season Sire PIERRO. 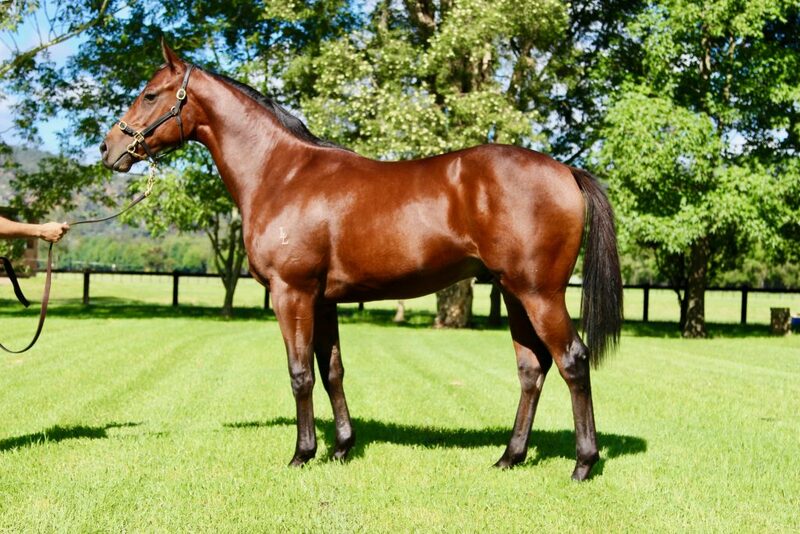 From a phenomenal family of sprinting prowess, our colt is out of four-time winner and Stakes placed mare EMBARK who is a half-sister to Group 2 VRC Sires Produce runner-up CARNERO and the Stakes-Placed GRATIS. A sire-making family stacked with Stakes winners, our colt is bred for speed! CLICK HERE for more information or call Chris or Mike on 02 9499 5212.